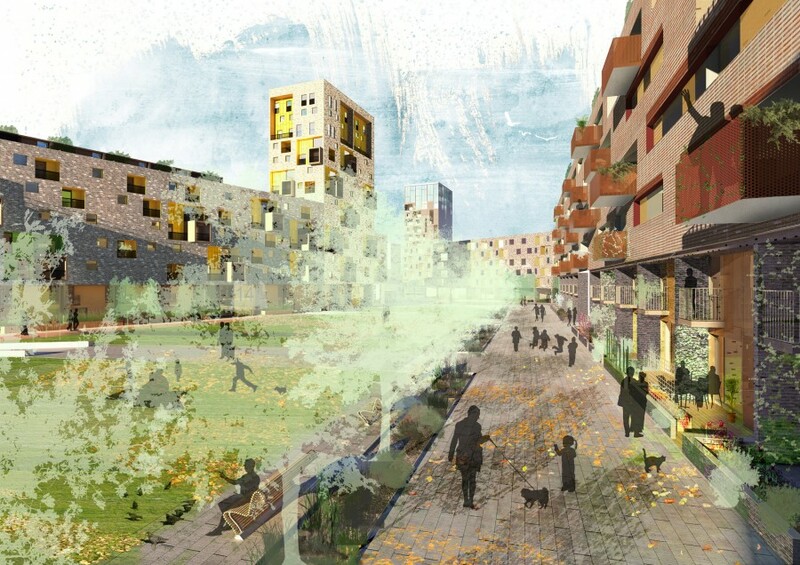 Set within the LDA’s Royal Albert Basin Masterplan our vision established a unique sense of place for Gallions Quarter. 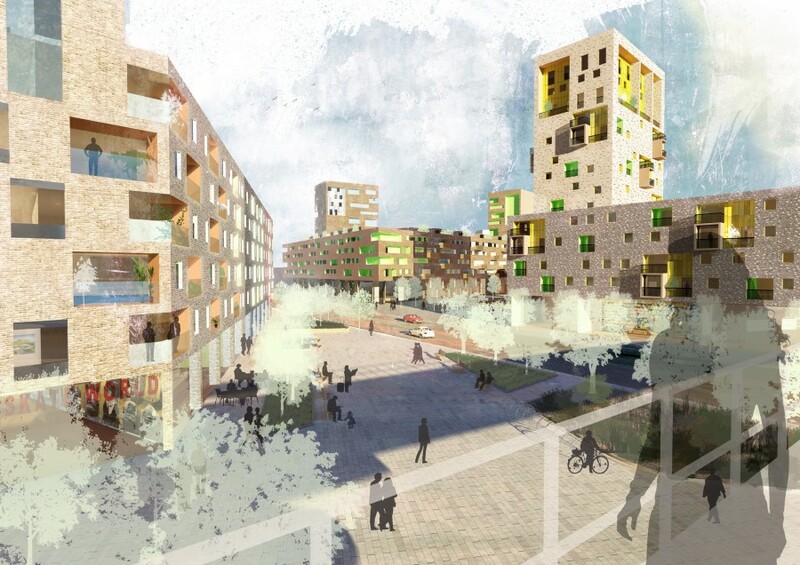 The design, developed in collaboration with Alison Brooks Architects carefully balanced diversity and coherence, both at the scale of the overall development (700 homes, 3000sqm commercial space) and at the scale of the urban block. 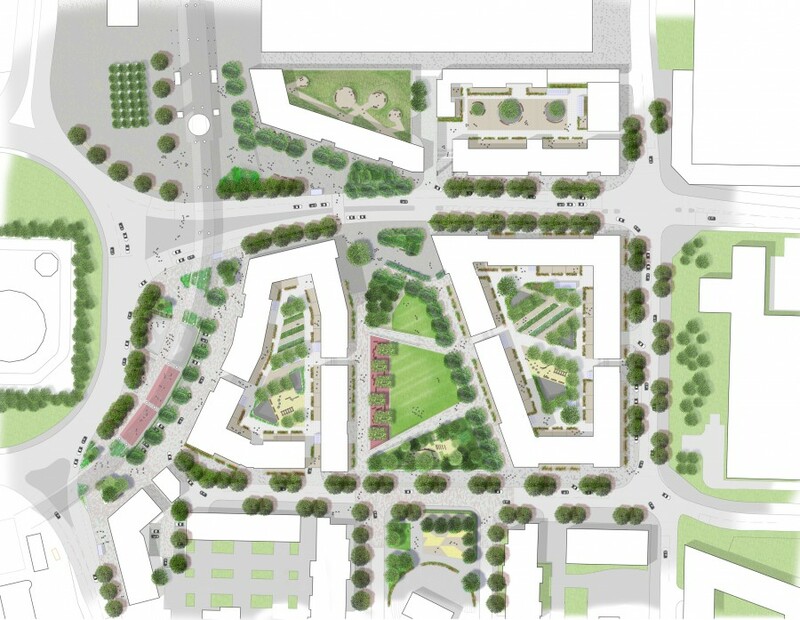 Three different block typologies were used as part of the coherent design – the linear block, the perimeter block and the point block. 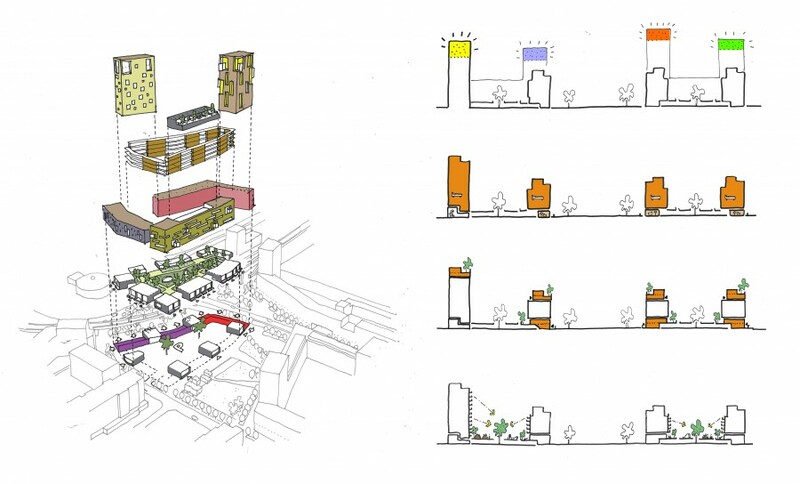 Consideration of the spaces between buildings was a primary concern and landscaping was essential to the development of strategies for flood risk mitigation, car parking, wayfinding, and demarcation of public and private amenity spaces.